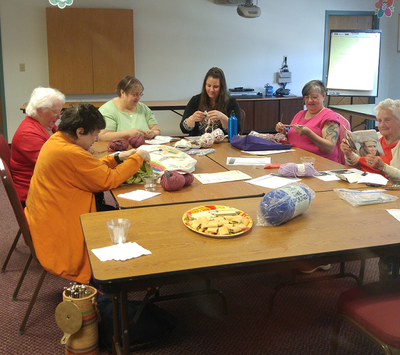 Empowering older and/or chronically disabled, residents of Sanford, Springvale, Acton, Alfred, Lebanon, North Berwick, Shapleigh and Waterboro to remain physically in their homes and engaged in their communities. We will accomplish this by enabling access to local services and organizations, in partnership together to coordinate a network of assistance both physical and social. Building our capacity to conduct the work. Develop messaging materials to reach seniors/Disabled and ALL community members who want to be engaged. Provide opportunities for collaboration among service providers and community. Develop a Senior Center without walls to engage the broader community and meet people where they are. Begin research on Intergenerational Day Services. Provide Caregiver trainings and support. Currently we are operating on a consensus model. Work is directed by our Consumer Advisory Committee made up of potential participants and our Leadership Team made up of local professionals. We have created partnerships with the University of New England School of Osteopathic Medicine to connect Medical Students to older and Chronically Disabled persons through our Nasson Health Center, a FQHC. We are also working with SMAAA to present Dementia trainings as well as Savvy Caregiver trainings in the Sanford area. We will be working with the Waterboro Lion's Club as part of our Senior Center Without Walls/ Lunch with Friends to use their facilities to host lunches. We have also put together a Partnership Action Network which is local resources, as well as individuals who work with older and disabled people. The purpose of this group is to share resources, bring needs of community members to group and then solve the need by connecting the community member to resources to solve their issue. Volunteers are an important part of the work through leadership and guidance of the work as well as our much needed volunteers for our Volunteer Network. Developing and Engaging our CAC group to provide real life/consumer feedback on thoughts and scope of work. Development of a Provider Action Network to share local resources and promote real action. Transportation will be a barrier due to the rural nature of the work. 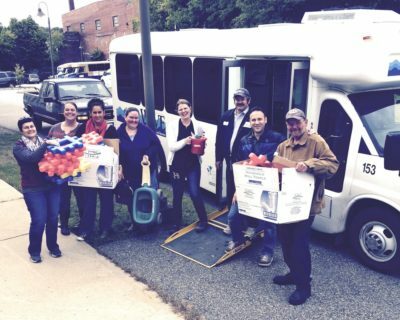 We have partnered with YCCAC transportation to increase the role of volunteer drivers and have recently begun a new initiative to expand shopping and social bus services to the Acton and Shapleigh areas. Our Volunteer Network has been established to assist with these things. We currently have other programs at YCCAC -- weatherization, Keeping Seniors Home- to assist with home repair. 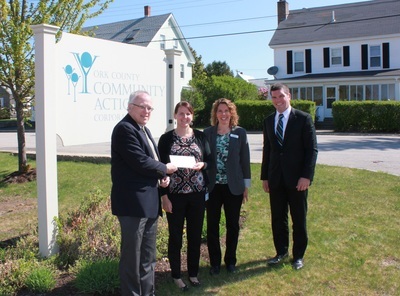 We use current YCCAC programs as well as UNE medical students to help identifying devices and home modifications that make it easier and safer for people to age in their home. UNE Medical Students to work in conjunction with Nasson Health Center to provide in home follow up visits to monitor NHC patients and medical regime after medical appointment. Also will be conducting balance assessments, medication checks. We are conducting Aging and Memory/Dementia training in partnership with SMAAA. York County Thriving in Place held a Healthy Living Expo which we hope well be an annual event bringing seniors together for fun and enrichment. Thriving in Place York County has complied a resource guide that is in print as well as on our website. Download the Thriving in Place York County Resource Guide. Thriving in Place York County launched some successful initiatives focused on reducing social isolation, such as the increase of available transportation in more rural communities We have offered educational opportunities related to dementia and Alzheimer's disease, Advanced Directives and Caregiver issues. We have also offered an exercise class and plan to do more of these types of activities in the future. Our Volunteer Network provides volunteers to provide friendly visits for those who are challenged to get out of their homes. York County Thriving in Place has implemented wellness services at our Senior Center without walls during "Lunch with Friends". 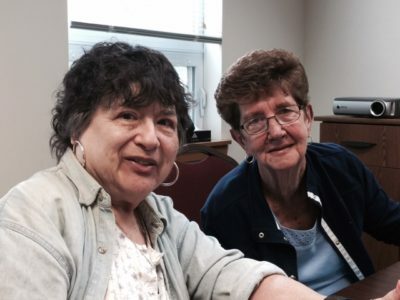 Thriving in Place York County continues to pursue the idea of an Intergenerational Center. We also have offered educational opportunities for caregivers. York County Thriving in Place has a website that is running and have printed materials about our work.